Before playing Rugby, Smith was an apprentice at Football side Everton. Smith started his rugby career at St Helens, in 2006, and was sent on loan to Salford in 2008. He was recalled by St Helens ahead of 2010 Grand Final against Wigan, which St Helens, despite a good display by Smith. In November 2008, Smith was unveiled as one of Crusaders new recruits, and played for the Welsh team in there first season in the Super League, playing 16 games and scoring three tries. 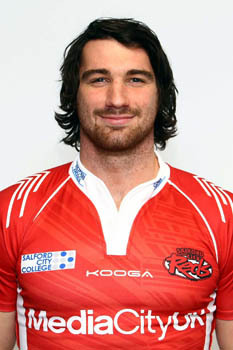 Smith returned on a 12 month loan spell to Salford, and after impressive performances, he secured himself a two year deal in 2011. He is now the vice captain.